I adore this recipe. 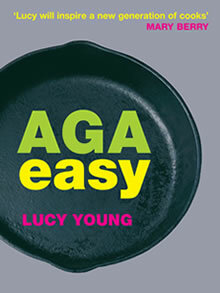 A brilliantly simple marinade, 1 minute or so of stir-frying and voila! A dish that I guarantee will become a firm favourite. Not suitable for freezing. Mix together all the marinade ingredients in a bowl, season with salt and pepper. Slice the beef across the grain into very thin slices, about 1/2 cm in thickness. Add the slices of beef to the marinade and toss to coat, leave to marinate in the fridge for a couple of hours. Heat a non-stick frying pan on the boiling plate. Fry the beef for about 30 seconds on each side so just pink in the middle but golden brown on the outside. 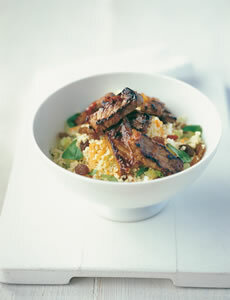 Serve hot with noodles or warm Lemon Couscous Salad on page 58.